I'm running Ubuntu 10.10, and am trying to add the StackApplet to the panel. Select 'StackApplet' from the menu dialogue that appears. Doing this causes a small, roughly 1px2, grey square to be added to the panel, but with no indication of why the StackApplet isn't responding/loading. I've tried adding to the panel, then restarting gdm and also adding to the panel and then restarting the system. Neither approach seemed to achieve anything. I've also completely removed/purged, and then reinstalled, StackApplet via Synaptic in the hope that might fix any dependency issues, to no avail..
Obviously there is further information needed to answer this question, but at this stage I don't know enough about what information might be needed, or, in most cases, how to find it. I'll do my best to add any information requested in comments, though, to try and solve this. Didn't have, but did create, the file ~/.config/autostart/stackapplet.desktop with the contents suggested in the accepted answer. 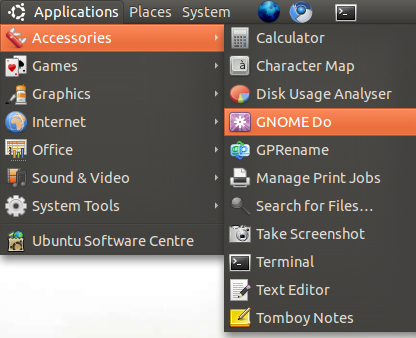 Haven't tried reinstalling gnome-panel, yet, mainly because I've read elsewhere that this may cause a world of pain. If that's wrong, I'll happily give it a go, though. Tried re-adding the notification area to the panel, which worked (in that it added the notifcation area), but didn't resolve the StackApplet problem. The problem is that you are running an older version of StackApplet that is no longer supported and doesn't quite work as well. You can find the new version (1.4.1 beta) in the StackApplet PPA. What are PPAs and how do I use them? StackApplet is run via a different system. run StackApplet from Applications > Accessories. It will then turn itself on then put itself automatically into the system tray. You may need to reboot in order to gain access to the Applications/Accesories/StackApplet. It worked for me. Give it a try and please inform. Not the answer you're looking for? Browse other questions tagged 10.10 gnome-panel stackapplet or ask your own question. How to add indicator-datetime to the panel? How do I delete my last panel? Where have my Panel Applets gone in Natty? How to add a launcher to a program/script inside my home dir? What does StackApplet “Network Error” mean?